More details and RSVP here or here. 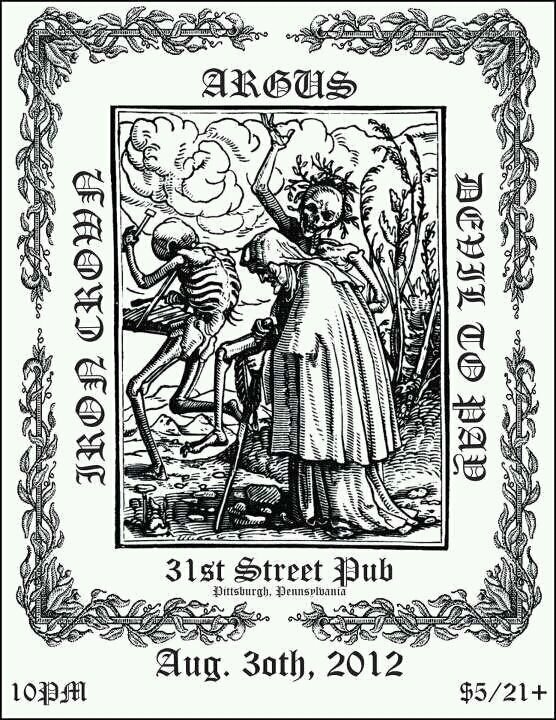 Another great band from Indiana (these guys are from Fort Wayne) are also coming to Pittsburgh tonight: horror punkers Lurking Corpses. 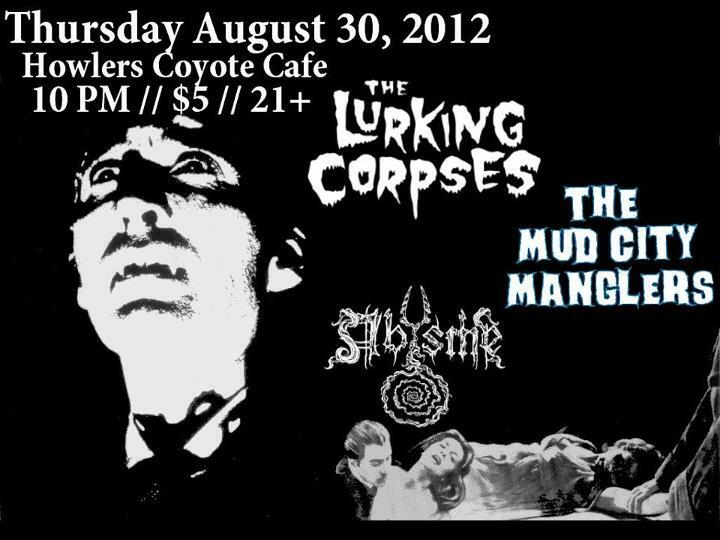 They’re making an appearance at Howlers, alongside local punk rockers Mud City Manglers, and opening the festivities with some Pittsburgh-style death metal will be Abysme (whom you might remember from the Iron Atrocity V.1 compilation). How’s this for a fun Friday night? 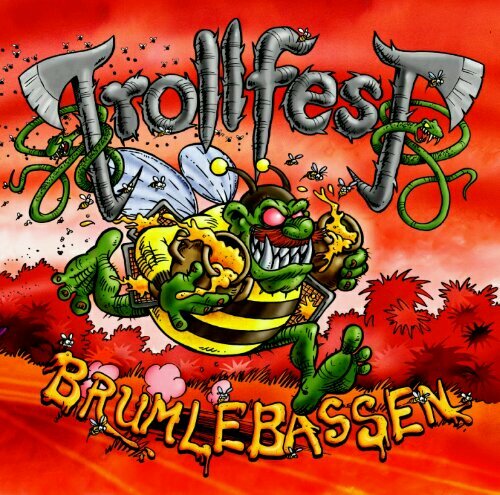 The Moose will be full of heavy rock ‘n roll craziness as FFITPL take the stage (of course you remember them, from when I reviewed their self-titled CD earlier this year, right? 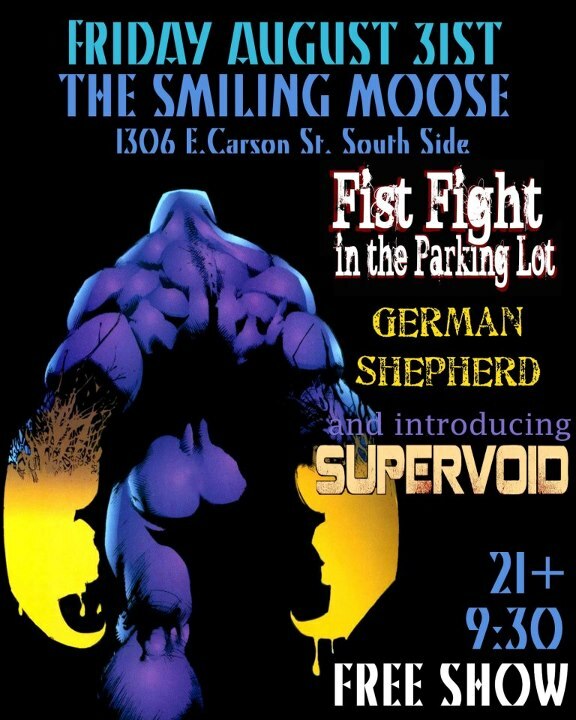 ), with two other local bands, German Shepherd, and the newly-formed Supervoid. Best of all, the whole thing is absolutely FREE!! So I guess somebody told the folks at Allure of the Earth that I’d be taking a few days off work this week, and I’d probably appreciate something fun to do on Tuesday night in order to celebrate my freedom. Or maybe it’s just a coincidence. In any case, check out this cool show happening tonight at Mr. Roboto! 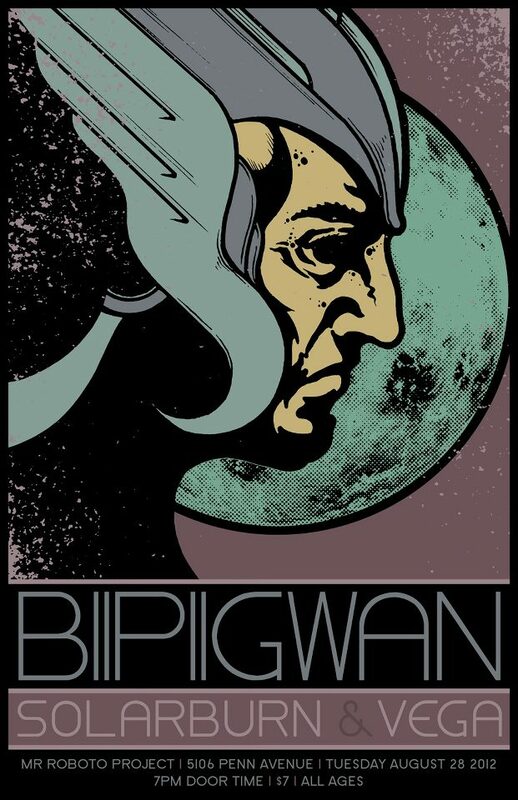 Biipiigwan are taking their filthy sludgefest out on the road — coming all the way from Ottawa, Ontario to pollute our fine city. The band is a new discovery for me (new as in, I first heard of them when this show was announced), but I’ve downloaded their 2010 demo album as well as their EP from earlier this year, so now I feel much more enlightened. You can too, if you check out the Bandcamp widgets below. If you like what you hear, both of these are also available on CD — at their Bigcartel webstore, or I presume you’ll be able to grab a copy in person if you come to the show. 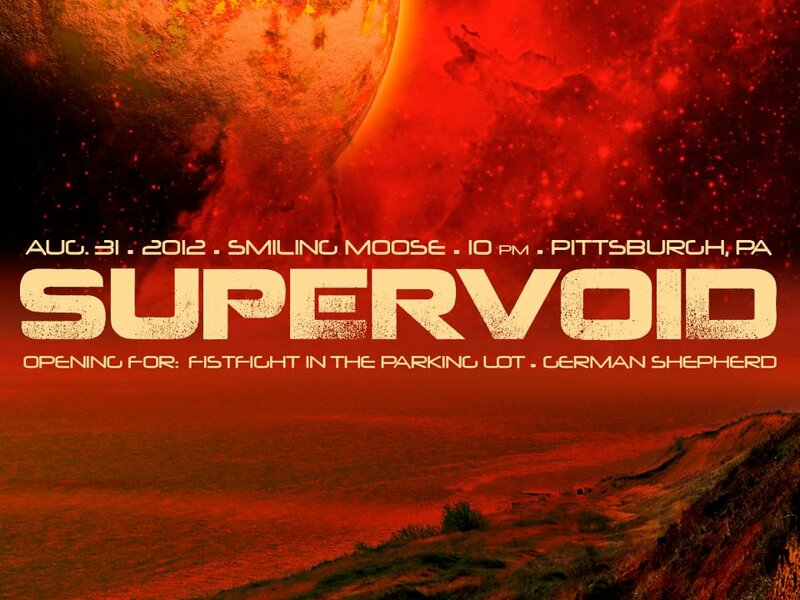 Joining these Canadian visitors will be Pittsburghese instrumental metal wizards Solarburn (who put on a mind-blowing live show) as well as fellow locals VEGA (whom I have not yet had the chance to see play, but they’ve been described as “vintage metal” — hear for yourself at ReverbNation). The scheduled start times are as follows: [Solarburn 7:45 | VEGA 8:30 | Biipiigwan 9:15], and the whole shebang should be wrapped up by about 10:30, so there’s no excuse not to make it there — even though it’s a school night or whatever. Find more information, and RSVP, here and here. Hey readers, if you happen to live on the east coast anywhere between the D.C. region and New England, listen up! The Washingtonian stoner/fuzz metal band Borracho recently announced a string of dates running throughout the Labor Day holiday weekend, so if you’re anywhere near that area you’ll want to pay close attention to this. We’ve talked about this band a few times, starting with a mention on the list of top 2011 releases, and including features on a couple new videos over the past several months. Borracho LIVE on the Tres Hombres Tour! All work and no play makes Borracho want to hit the road! We’ve been spending too much time in the lab writing for the new record and we really need some fresh air! So, we’re hitching up the wagons and heading north Labor Day weekend for a short tour en route to the 12th annual Stoner Hands of Doom festival in New London, CT. This will be our second appearance at the festival, and the tour will bring us to the city of brotherly love and New England for the first time. We’ll be playing four dates, kicking off in our home town of Washington DC, travelling to Philadelphia, PA and Boston, MA before our Sunday showcase at SHoD. We’ll be joined on these shows by One Inch Giant from Gothenburg Sweden, Black Thai from Boston, and Fire Faithful from Richmond VA. Spread the word! See the details on each show below, and on the Shows page of our site. So once again, be sure to check out Borracho and friends if they’re coming near where you live. One of these days I hope these guys decide to venture out a little further — at least to this side of the Allegheny Mountains (the closest they’ve come to the Pittsburgh area, as far as I am aware, was a show a while back in York PA, which is still a few hours away from here). But for those of us across the rest of the country and the rest of the world — they did say something about writing a new record, so how cool is that!!? Feast Your Eyes (and Ears) On These! Hello there. It’s Monday morning. It’ll be a shorter week than usual, for me, because I’ve got a couple vacation days leading into the three-day holiday weekend (Labor Day is Monday in the U.S.A.). So, I suppose the knowledge that I’ll only have to suffer through a few days (rather than a whole week) makes it easier to bear, but it doesn’t change the fact that it’s Monday morning. So the best thing to do, that I can think of, is to go grab a cup of coffee, and blast some music into our ears until we can’t feel feelings anymore. I like my metal like I like my coffee: black, and strong enough to tear your soul apart. Well, folks, you’ve been looking forward to this for several years, and it’s finally here: The Faceless have finally put out their third album! Well, when I say “you” I mean “a LOT of you” — here’s a band that has almost 200,000 Facebook likes (compared with the typical band I write about, which might have several hundred, or a couple thousand at most). So yeah, that’s a lot of people, and probably a good chunk of my faithful readers, hence the reason I felt compelled to pass along the details about this new album when they popped up in my in-box. Do you know who was not among those hundred-grand-plus anxiously awaiting? Yours truly. The news of new The Faceless material left me feeling pretty indifferent, simply for the reason that I’d never heard this band before. True story. Now, I’m not one of those über-elitist types who refuses to listen to anything that isn’t underground enough — I like to believe I’m more open-minded than most — but more often than not, the modern style of metal music that’s currently in vogue (without naming names, let’s just say I’m referring to the bulk of stuff that gets played on Liquid Metal, or the bands that seem to have the most rabid fans among commenters over at MetalSucks) just doesn’t do anything for me. Or to put it another way, it seems like the more hype that surrounds a band or an album, the less likely I actually end up enjoying it. Not that I purposely dislike stuff because it’s popular, it just seems to work out that way a lot of the time. Of course, there are plenty of exceptions, and so I would never totally dismiss something without first giving it a shot, but I also typically wouldn’t go out of my way to check something out if I got that sort of a vibe from it. But part of that earlier post prior to the album’s release included a video trailer, and the small amount of music that was included in that preview didn’t really sound like all the other generic crap floating on the airwaves nowadays. In fact, it struck me as a bit intriguing. So I decided I wanted to check it out — to see what the big deal was. 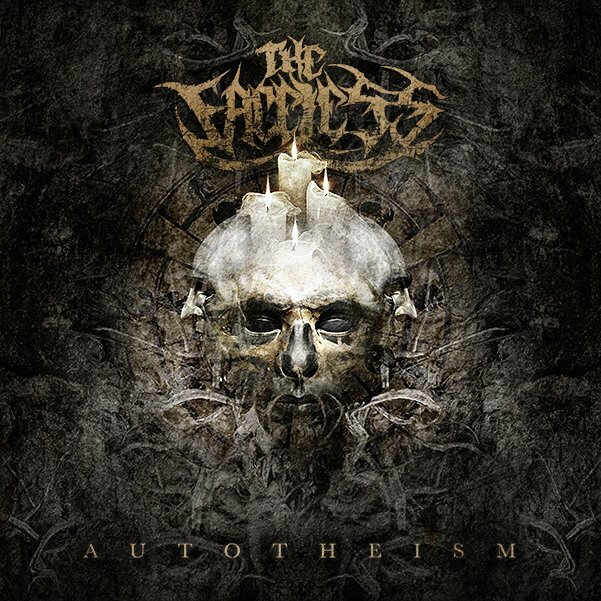 So Autotheism officially hit the store shelves ten days ago (figuratively speaking, as I’m pretty sure they don’t actually have shelves at iTunes or wherever), and since then I’ve heard it from start to finish no less than ten times. At this point, I feel that I can confidently say, this is an amazing album and I strongly recommend you take the time to discover what it has to offer — I’m sure that you, too, will be glad you did. The psychedelic swirls of space-rockers Guardian Alien (Thrill Jockey Records, from Brooklyn NY, featuring Greg Fox of Liturgy) are writhing their way to Pittsburgh, bringing with them Starring (Northern Spy Records, from Oberlin College), an amped-up, proggy krautrock band. Opening for the double billing of punk-powered weed-wizards are Pittsburgh’s own stoner punks, Low Man, who are celebrating last week’s release of their self-titled EP (see below to stream/download). For more show details, or to RSVP, click here and here. 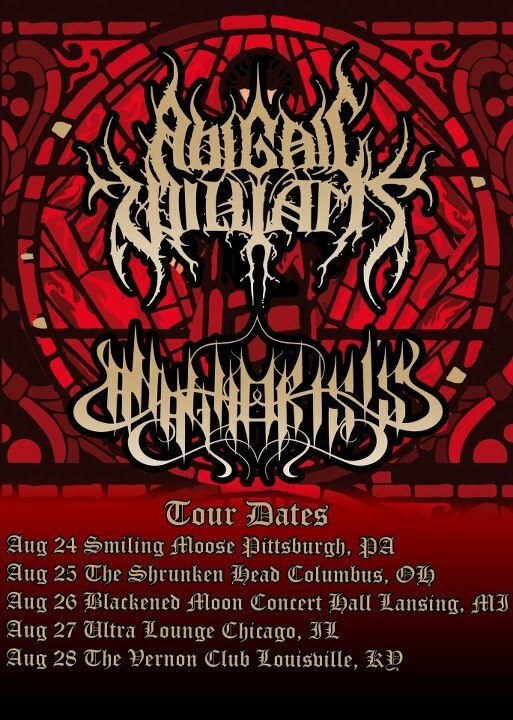 There are only a handful of opportunities left to catch Abigail Williams on their farewell tour, so don’t miss your chance! Buy your tickets here, then RSVP here and here.